Was Graham Rynders set-up by Newman Government to create the Queensland Gestapo? Where to begin? Having seen the video of the infamous Port Arthur Massacre which was on You Tube for a brief time showed ALL the victims had been shot in the head. 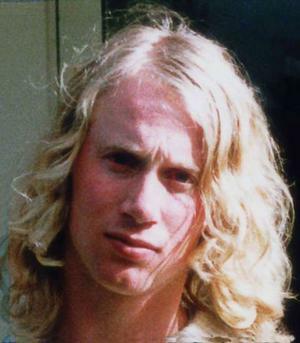 If I was on a jury I would vote in favour of it being a professional hit rather than the murderous aggression supposedly displayed by one man, an intellectually challenged man called Martin Bryant who looks like a peaceful hippy dude. I don’t believe the story in the Courier Mail on the weekend just gone where Rupert Murdoch’s journalists push the story that Martin Bryant had a look of murderous intent according to a third hand hearsay of a supposed guard assigned to protect Bryant. The set-up or conspiracy surrounding Graham Rynders, former Assistant Police Commissioner of Queensland, and the new Bikie Laws set to be rammed through the Queensland Parliament, without the Fitzgerald Report’s recommended Committee Review, is prima facie evidence that the Queensland Government is out of control. I would even go so far to say that the Campbell Newman lead Queensland Government has lost control of the State to those “faceless men” that the politicians keep referring to. Word around the water cooler is that there’s a hit out on Campbell Newman, which would explain the crackdown of security around the Queensland Parliament. After winning government his rapid unpopularity with Queenslanders leaves about 95% of the population with a grudge against him and his stupid laws. However I suspect these laws that are being passed on bikie gangs are directives which have been passed down via the United States Government, given that Brisbane will be holding the G20 in Brisbane next year. Is our Fuhrer, Campbell Newman, a Dictator, or are his hands literally tied behind his back? Has he been told to toe the line or get a bullett in the head, which is one of the favoured means of assassinations upon which the government can seize upon a “story” like the “story” that Lee Harvey Oswald, a lone gunman assassinated JFK, and magic bullett theory. It is the fiftieth anniversary of the JFK assassination and Sixty Minutes is still pumping this stupid theory while simultaneously ignoring all the evidence, so they can shout TERRORIST to support the ramp up of more laws like the Patriot Act, or if the powers that be decided they didn’t want it public, Mr Newman would find himself in a very nasty car accident like Princess Di and Princess Grace, using an assassination technique called the Boston Brakes technique. Back to Graham Rynders. Rumour has it that this whole episode started when Campbell Newman rang now retired ex-Assistant Police Commissioner Kathy Rynders to ask her to go to Bundaberg to do the Flood Report. She flatly refused but Mr Newman told her to think about it and that he would ring her back. Upon the second phone call Kathy Rynders again flatly refused to interrupt her retirement with any work commitments. Campbell Newman then asked Brett Pointing to go to Bundaberg to do the Flood Report which he accepted. Did Brett Pointing conditionally consent to Newman’s request, with his reward being a raise and promotion? Alternatively, was Newman leaned upon, perhaps by ex-Queensland Police Commissioner Atkinson to use Pointing to further the LNP’s agenda? Brett Pointing has used Atkinson as a referee, so it is reasonable to suggest that they have a connection, which could be just friends, or possibly there is connection with freemasonry, given Penelope Wensley had an appointment at the PRIVATE Masonic Centre in Ann Street, Brisbane that had something to do with Pointing. Was Newman leaned upon to parachute FBI Trained Bulldog Brett Pointing into position down the Gold Coast? Rumour also has it that Graham Rynders was set-up by Queensland Police Commissioner Stewart or someone else of equal or higher authority, because when Graham Rynders learned he was being kicked out of the Gold Coast he went to his boss or someone of higher authority and was told to take a holiday and go shooting and that it would all be taken care of by the time he returned. However, while Graham Rynders was away on holiday, suddenly the papers run with the exact opposite story that Rynders was missing in action when the bikie brawl took place. The Bikie Brawl had to be a set-up by the police &/or the Government (ASIO) to oust Graham Rynders from his post, and to remove his standing and power within police ranks. The whole bikie thing stinks to high heaven. It is a beat up. Their rap sheet is pretty weak when you take out the drug charges and failing to appear. Anyway, the Iran Contra scandal showed that it is certain people within the government that are the ones that ship the guns and smuggle the drugs, and the worldwide drug trade has no trade barriers, and the tentacles reach into the highest places. Sure, the bikies could be involved in the drug trade, but the Mr Bigs are the untouchables – the ones with the network of power of blood oaths to conceal and never reveal as in the Freemasonic Order, High initiates in positions of power can control the evidence and control the media. The killing of Damian Leeding who was shot in the head was the mark of a hit, possibly because Damian Leeding knew too much, or was about to talk. The attempted hit on Gary Hamrey has the same hallmarks, however it was either a warning, or Hamrey was very lucky. Whatever the case, it is reasonable to suggest that the hits emanated from the government or police or ASIO or even the CIA, which are the real Nazi’s. The JFK Assassination (John F. Kennedy) showed clearly the links and that the American Nazi’s actually won WWII, and that JFK’s assassination was a coup d’etat to overthrow the American Government. Australian Archives show that there was a Nazi gang here just after the war, and their diagram indicating how they were going to infiltrate and run the Australian government, with Black Ops to keep and take control of dissenters. The ASIO and CIA are linked by the common fact that Australia’s Parliament has a Capitol Hill, and America has Capitol Hill, and the Vatican also has a Capitol Hill. Both America’s private Federal Reserve (which is not Federal and has no reserves) and the private Reserve Bank of Australia commenced in 1913. That is not a mere coincidence. The signs and symbols are satanic in meaning and nature, and these people who have the real power live to control and kill and wreck havoc. The assassins work for the bankers, the Rothschilds who are Zionists and who apparently own 80% of IS-RA-EL. It’s not about the money, it’s about control for the sake of control. Rynders had been told not to quit, but to wait until the Newman sacks him because the stingy LNP will then have to fork out about $300,000 to pay him out. This entry was posted in News Archive and tagged Australia, Australian Federal Police, bikies, Bob Atkinson, Boston Brakes, Brett Pointing, Brisbane, Campbell Newman, cia, corruption, criminal, deceit, gangs, Gold Coast, Government, Graham Rynders, Ian Stewart, illuminati, John F. Kennedy, Kathy Rynders, Martin Bryant, murder, Nazi, New World Order, Newman, Police Commissioner Kathy Rynders, Port Arthur Massacre, Princess Di, Princess Grace, Queensland, Queensland Government, Queensland Parliament, Rynders, United States, whistleblower by renaissancelearningfoundation. Bookmark the permalink.